For the first half of their legendary career the Beatles were not only revolutionizing music in the studio, but they were also a hard working touring band. Honing their craft over countless hours onstage and in front of growing crowds, by the time they finally found fame in 1962 they were seasoned road dogs. As we all know, though, by 1966 they grew tired of the constant mania that followed them and the fact that the sophisticated recordings they were making and the boundaries they were breaking in the studio could not be replicated on stage. Save for a final surprise appearance on the rooftop of their Apple Corps building in January 1969, by August 1966 their days performing onstage were over. 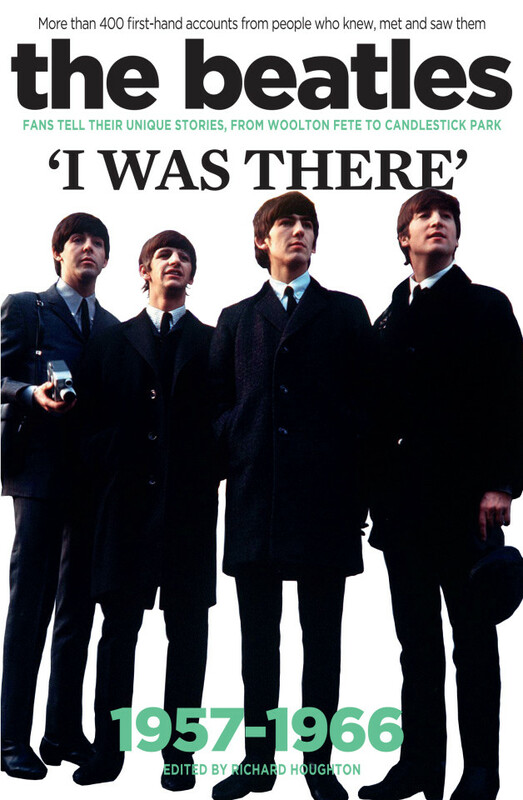 For those lucky enough to have seen the Beatles in concert, those are memories they'll carry with them forever and which are shared in the excellent new book The Beatles: I Was There. In 2015, Richard Houghton collected stories from numerous fans who saw the Rolling Stones in the 1960s and compiled them into You Had to Be There! The Rolling Stones Live 1962-69 which I reviewed and thoroughly enjoyed. For this new Beatles book, he's done the same thing and collected reminiscences from people who saw the Beatles between 1957 and their final performance in 1966. The book is broken down chronologically in sections focusing on the major tours of their career. The entries from 1957 concern people who were watching the Quarrymen on the day John met Paul and are certainly very cool to read...there's even a photograph of one of the contributors being held as a baby right in front of a teenaged John Lennon on that very day. The book then jumps forward to the Pete Best-era Beatles of 1960-61 as they worked their way through the club and ballroom circuit around Merseyside and the northwest of England before Ringo joined the band and they became recording artists in the summer of 1962. From there, the memories of the Cavern Club crowd give way to the first UK tours the Beatles did, first supporting Helen Shapiro, Chris Montez, and Tommy Roe before their breakthrough where they supplanted Roy Orbison as headliner. Once Beatlemania was in full swing by the summer of '63, the main thing almost everyone had to say about the concert was that the screaming and crowd noise was so deafening and relentless that the Beatles simply could not be heard with the primitive sound technology of the time. Apart from a few individuals, however, almost everyone said that it didn't matter because it was simply the experience of being there that was important. What's interesting is that while I certainly understand what they mean, it also is exactly one of the main reasons why the Beatles stopped touring. As John Lennon famously said, "Beatles concerts aren't about music anymore, they're bloody tribal rites" and all of them have said variously over the years that they knew no one was listening and it demoralized them. 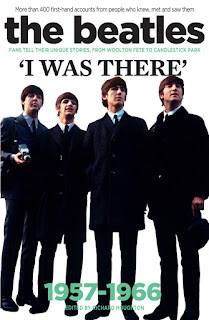 It was also interesting to read memories from several people who were (and still aren't) Beatles fans, but who went to the concerts simply because it was something to do back then! The time capsule nature of the book, aided by photographs and memorabilia, does a nice job placing the reader back in those simpler, more innocent (and exciting) times. It's also quite interesting to trace how live music and the rock concert industry has changed over the years; even just from 1962-1966, the Beatles tickets got more expensive and more difficult to get. It also brought sharply into focus the difference between the UK and the US during those years. While in the UK, most tickets cost less than a pound and could be obtained by simply standing in line for hours, in the US even the earliest Beatles tickets were anywhere from $3 to $6 depending on how good the seats were and had to be procured mainly via mail order. Yes, the US is a larger country and people had to travel longer distances to where the concerts were, but even so it seemed like a pretty big difference especially in those days before everyone had telephones, let alone the internet. It was also eye-opening to think about how even though $5 for a concert ticket was fairly expensive in 1960s dollars, it still was a lot less in relation to the incomes (and inflation) of those days...it certainly puts paying $150+ for a similar arena ticket these days into sharper perspective! While the book checks in at almost 400 pages, it's very enjoyable and easy to read. The memories shared by the various contributors range in their length and detail and many of them are accompanied by period photographs of them, showing the fashions of those times. It was a little disappointing and surprising that some Beatles tours or significant appearances weren't represented much, if at all...in particular, I'm thinking of their Japanese concerts in 1966, their final UK tour of 1965 (there were only one or two entries), their first American appearances in 1964 (the Ed Sullivan Show, Washington, DC, and Carnegie Hall), and the rooftop concert of 1969. However, the author assured me he did try to track people down for these and wasn't able to find any. Perhaps there will be an updated and expanded edition in the future that might include these? Apart from some typos and a few photos that I believe to be incorrectly captioned, the book was very enjoyable and, in similar fashion to the aforementioned Rolling Stones book, a fun trip down other people's memory lane. These are who were lucky enough to have seen the Beatles and who are able to say "I was there!"